I've had full days since last W.i.P. Wednesday. I'll probably be saying the same thing clear through the holidays. Flannel Snow-Kissed Star - If you missed the reveal post with pics of the complete front and back, see here. 4x5 Quilt Bee blocks - Made my final two "Missing Your Kiss" blocks, so will be getting them in the mail soon. My goal was to finish them by December 1, so looks like I just made it! 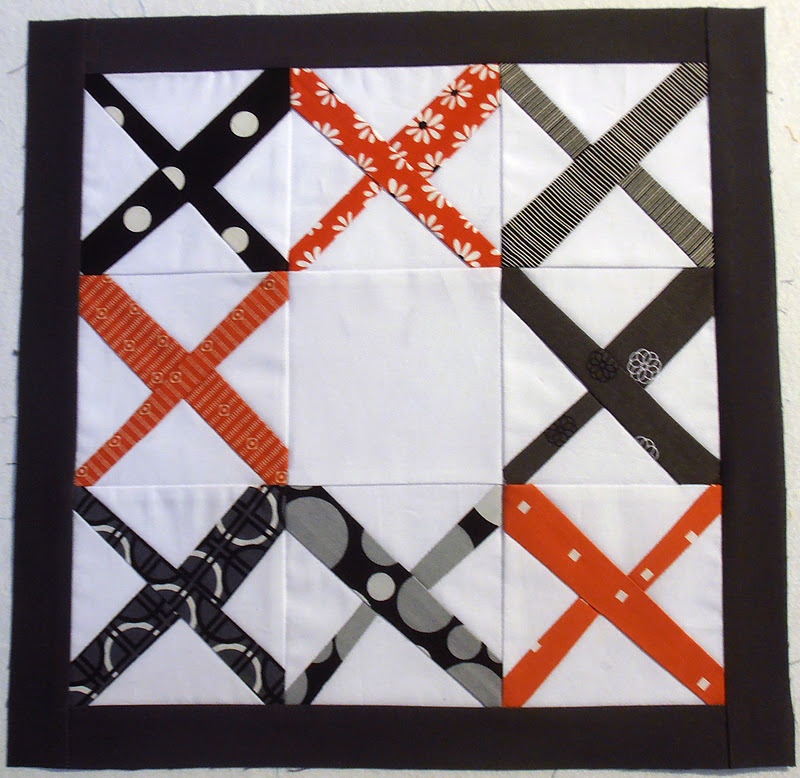 Red and black table runner - Began piecing. Lots of little pieces for this one, so I'm mixing it in with my other projects to keep things interesting. Wonderland Christmas tree skirt - No progress yet, but I'm itching to start! Wrenly HST quilt - Totally was going to baste this one up at the same time I did Snow-Kissed star, but alas, ran out of pins. It's still in the line-up though! * Placemats for Christmas gift - NEED to get started! Let's go see what's new at Freshly Pieced! 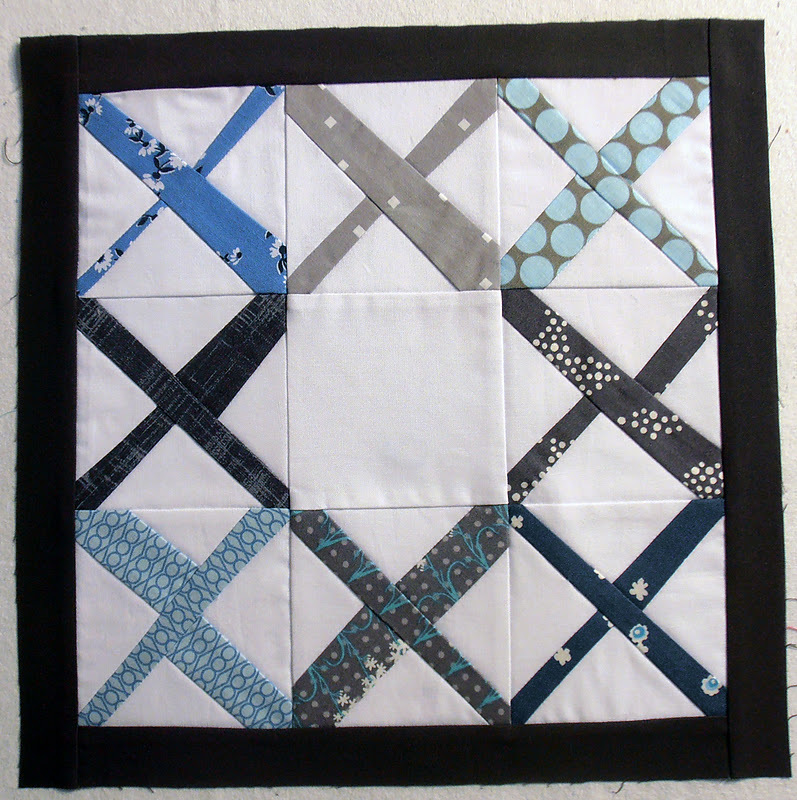 Love the Flannel Snow-Kissed Star quilt on the rocking horse! Your bee blocks look great! I know you said they're a bit time consuming, but I really like them. All your ongoing and upcoming projects sound fun, too! Good for you with your bee blocks done already, wow!! Gold star! 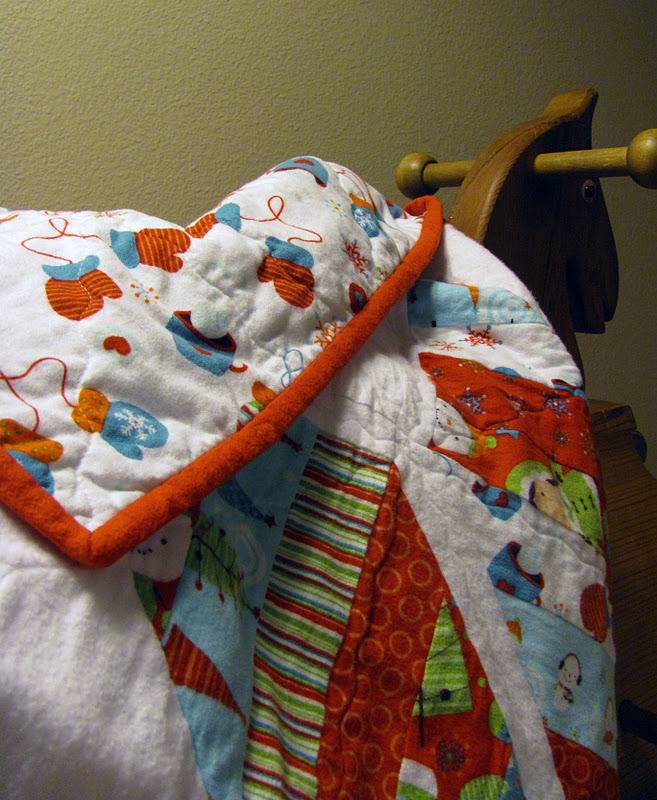 They turned out just lovely and I love how your flannel quilt turned out, it looks so warm and toasty! So impressed that your 4X5's are done already. I'm still acquiring fabric and trying to decide on a block. I really like your blocks! I am so looking forward to receiving that bee block, it is wonderful! You have such an nice list of projects too. Debbie, that Christmas star quilt looks sooooo amazing. What a wonderful idea to use this kind of layout. Absolutely love it. And your blocks look awesome, too. I LOVE that missing your kiss block. I've never seen that one before. Ooh, your bee blocks are so cool! Your quilt bee blocks look great! I'm excited to see the half square triangle quilt. The flannel quilt looks so warm and cozy! You're so smart to get your 4x5 blocks done early! I need to get working on mine.